Meghan and Dustin came to Charleston to celebrate their wedding anniversary! I was so excited when they reached out because they are doing a trip to a new place every year to celebrate just like Tim and I! In their initial e-mail, Meghan mentioned that they also have a doodle puppy named Finn! How perfect right?! I wish their Finn could have traveled to Charleston with them to have a puppy play date with our Finn! Y’all, the puppy obsession is real. 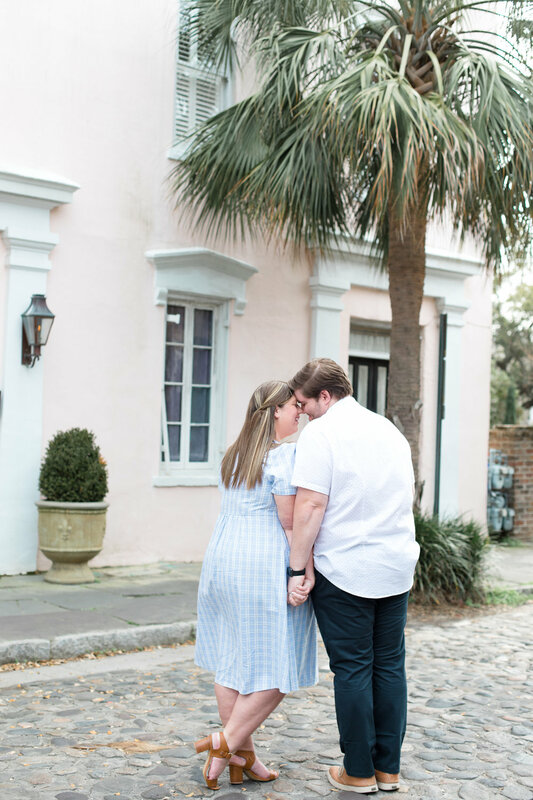 Check out a few of my favorites from their downtown Charleston session!